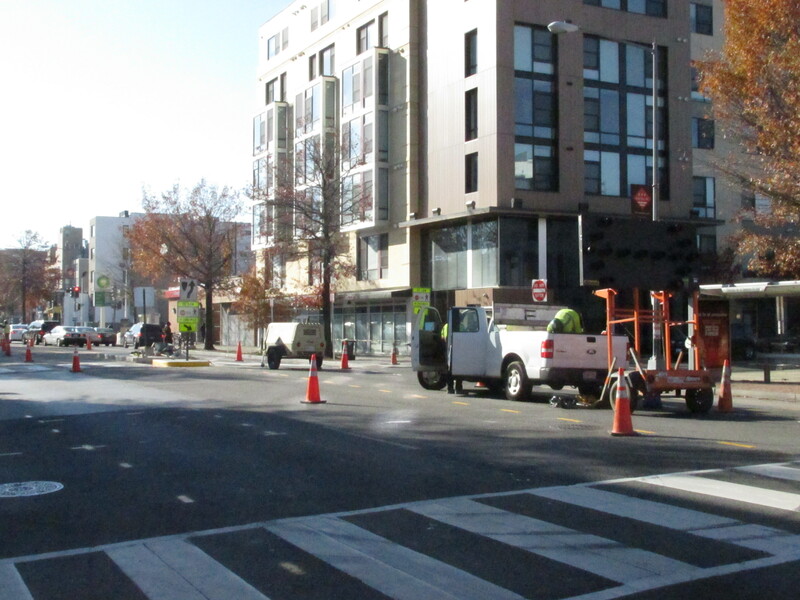 DDOT Continues to Tweak Crosswalk Median | Park View, D.C.
DDOT continued to improve the new crosswalk median at Georgia Avenue and Newton Place over the weekend. As you can see from the photos below, they painted the yellow center lane strips as well as painted the north facing curb yellow to alert southbound drivers of the lane shift. We’ll see if any other changes are made in the near future, but it seems clear that the median is here to stay — or at least until streetcars or Bus Rapid Transit become part of the equation (if at all). I would also like to see the south facing curb at New Hampshire Avenue and Monroe Street/Park Road painted yellow as well. Its been brought to my attention that many drivers are still hitting that curb as well. This entry was posted on November 17, 2014 at 7:01 am and is filed under Uncategorized. You can subscribe via RSS 2.0 feed to this post's comments. You can comment below, or link to this permanent URL from your own site. it’s an improvement at least! great improvement. 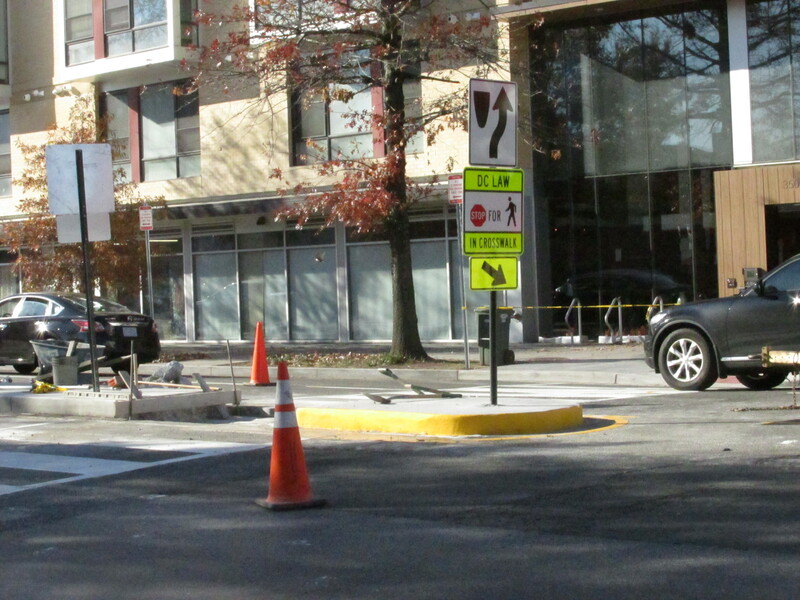 It would be great to see if DDOT can evaluate this and if it is successful in improving ped safety how about place more of them along georgia avenue? the streetcar isn’t coming anytime soon, and these are low cost improvements we can do whatever happens. also along georgia, alternatively, could be more curb extensions which also reduces crossing distance. this never happened on lower georgia as great streets only rebuilt middle georgia ave.
Glad they took a second look. The issue now is the folks that illegally park backed up to the corner for the liquor store and residence. They catch drivers off-guard with the sudden lane shift. I predict a few rear-end accidents in the near future.